MP35N – The Alloy Durable Enough For Braces & Used To Straighten Your Teeth! 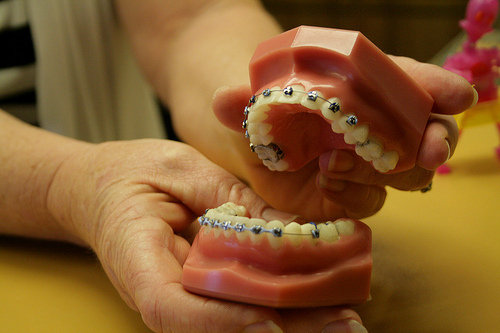 Have you ever had dental braces and wondered how the braces survived everything you put them through? Beyond just straightening your teeth, there is one alloy whose job it is just to survive the strain put on your braces through activities such as chewing food or being hit in the mouth competing in a sporting event. The strength and durability required for dental braces companied with the demands of orthodontics applications makes MP35N a perfect choice for a reliable alloy to straighten teeth and stay intact through extreme conditions. MP35N is moldable to where the alloy can be formed into the delicate size and shape of the braces. MP35N is an age hardenable Nickel-Cobalt base alloy that combines toughness, ultra high strength, ductility, and incredible corrosion resistance. While MP35N is commonly found in applications requiring resistance to heat and corrosion, the alloy has found a niche in applications where the mechanical properties of the metal must be retained, such as dental braces.